One of the tough things about following through with that New Year’s resolution to get fit is simply not being able to find cute workout clothes. If you feel as though you look frumpy or fat, it’s really hard to get motivated to exercise. Andy South's workout pant for New Balance. Andy South's hoodie for New Balance. 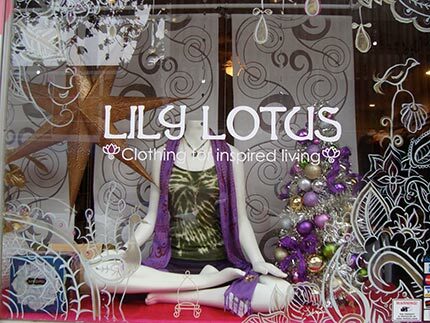 Don’t forget Lily Lotus and our own local yoga wear guru, Momi Chee. With or without the bling, Momi’s yoga pants and super-soft tank tops and T-shirts are both flattering and comfy whether you’re doing yoga, Pilates, weight training or Zumba. And I can vouch for their toughness. I have a pair that are at least three years old, washed weekly, and still are in great shape. I especially love the Sobha tops; they always garner compliments when I wear them. Lily Lotus is located at 1127 12th Avenue in Kaimuki, phone 735-3400. The Lily Lotus Boutique in Kaimuki is open every day. If you’re one of those lucky people with the “Ross gene” you can probably find great athletic wear at great prices. And, hey, Lululemon often has excellent sales. Sorry to wipe out one of your excuses…but I promise you will feel better after your workout! Oh… I can barely remember when I had the “Ross Gene”. Great info Paula. Great start to the New Year.